Do not hesitate to contact us if you need additional information and / or more details regarding our proven record. Clip of LAEIS Press in Action: The press is integral part of BCT's Green Anode Plant for superior anode Quality. BUSS ChemTech AG is the world’s leading technology provider for the production of carbon anodes used in aluminium electrolysis. The BCT Paste Kneader became the industry’s benchmark at its inception 60 years ago and continues to be the defining standard today. 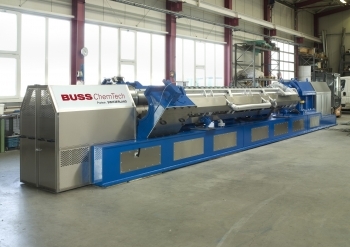 Buss ChemTech offers the highest quality engineering and equipment, and a scope of supply to fit all needs – from basic engineering and key equipment packages to turnkey Green Anode Plants. We also provide upgrades for existing anode facilities. Buss ChemTech has commissioned over 200 paste lines and has established itself as a highly regarded partner in the primary aluminium industry. 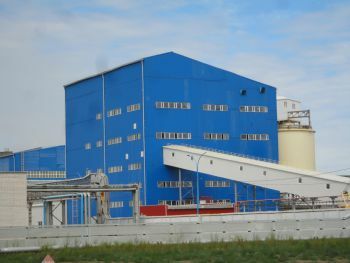 Our high quality equipment, process know-how and capability to successfully execute complete Green Anode Plant projects are highly valued by our clients.